Obedience opens up a line of communication between you and your dog. Effective communication is necessary to instruct your dog about what you want her/him to do. Adventurous, sweet and full of personality. Those are just some of the characteristics used to describe how Beaucerons make for a great family pet. Visit our Kids Corner for more information! 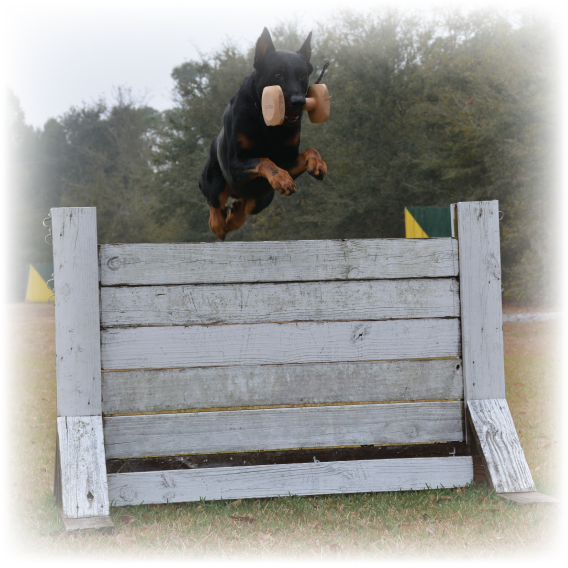 Beaucerons are a strong, vigilant breed - making them a great option for security dogs, or general family protection. ARC Beaucerons uses proven techniques to develop a well-rounded partner for life. Beaucerons naturally can follow a scent trail or disturbed vegetation scent, left by a person (or other animal) that has traveled along a certain route.